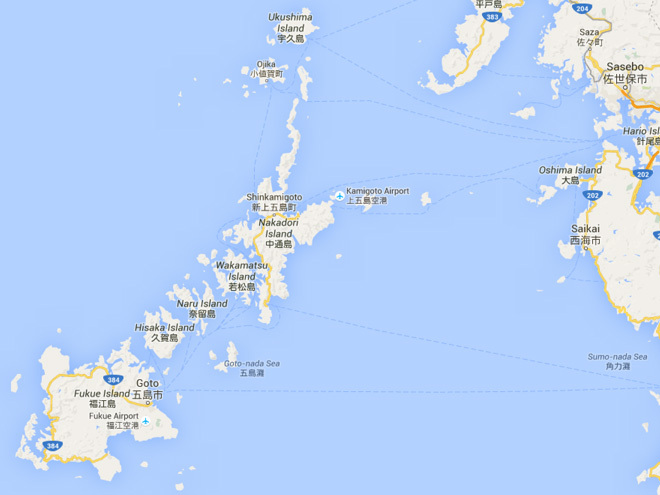 Japan – Go! Make! Do! 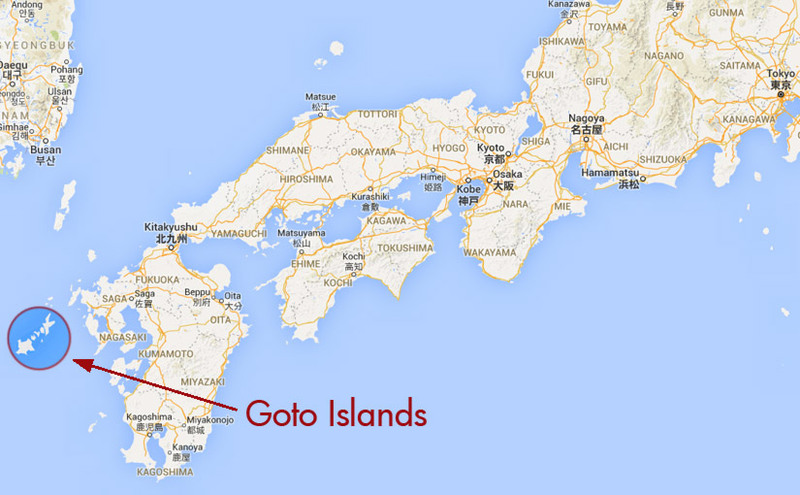 Click here to see Part 1 of our trip to Japan’s Goto Islands. 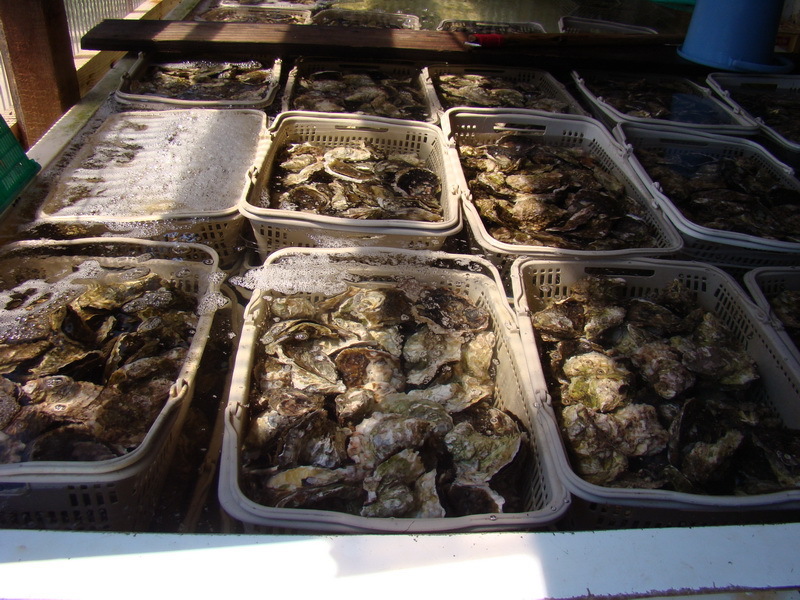 We heard about Goto Island’s famous oysters and decided to send some to Aya’s parents in Osaka. We stopped at a seafood company called Maruoto and the day took an amazing turn. 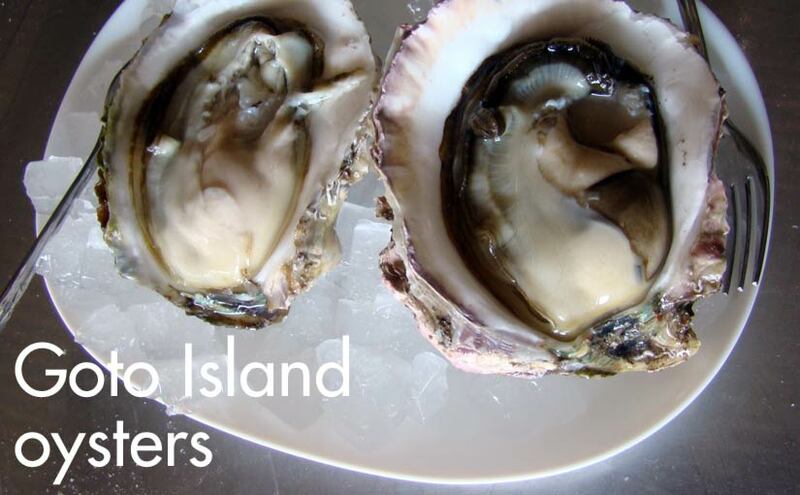 Maruoto specializes in big, beautiful oysters. We had only been in the store for a couple of minutes when Shin, the owner’s son, offered to open some samples for us. 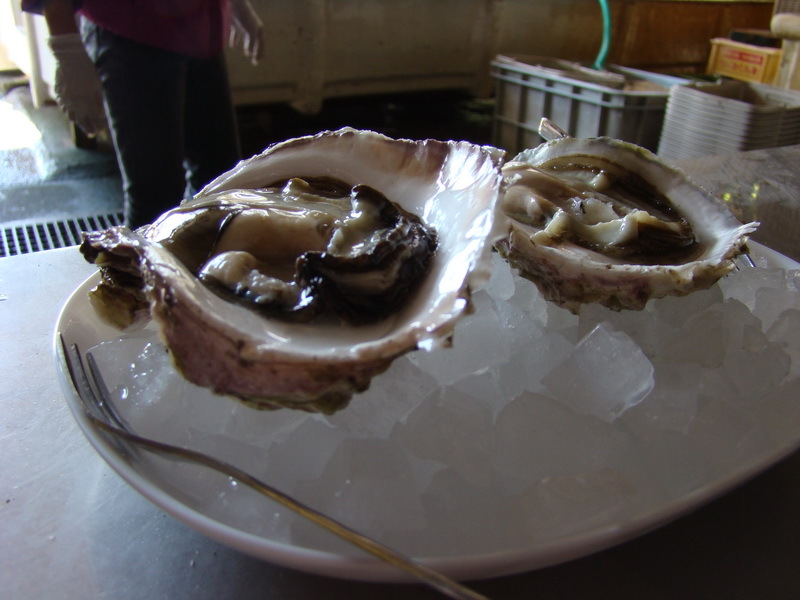 They were huge, but so delicate and gently briny, like a sea water custard. That was just the beginning of what turned into an amazing afternoon. Read on to see more. From Kyushu, the southernmost of Japan’s four big islands, we took a ferry out to the small chain of islands called Goto for a week of camping. You may remember it from the Kamigoto surfing post a while ago. Driving onto car ferries is one of our favourite parts of travel. It’s as close as we’ll get in our lifetime to putting a little private flying ship inside a giant interplanetary craft and taking a trip across the stars to explore other worlds. Sasebo is a busy Naval port, and we saw many unusual ships on the way out of port. (Click on the gallery below to see larger images). Sailors on deck of a Japanese Navy ship. Leaving Sasebo port, with many Navy ships, including an aircraft carrier. Bizarre ship we passed on the way out of Sasebo. Small Navy cutter on the way out of Sasebo. One of the US Navy patrol boats showed off their speed and maneuverability by catching air from the ferry’s big wake. Looked like a lot of fun. Note the big machine gun on the bow! Goto Islands appeared out of grey, rainy skies. The local weather was actually quite lovely, changing frequently. We followed whatever road seemed interesting, often ending up in situations that were unexpected. Eventually we found our way back to the coastal roads and went looking for a seafood snack. Click through to see what we found. Fully set up with Enomatic dispensers, Mista is a great place for an impromptu afternoon wine-tasting. Click through to see what it’s all about. After walking around the old port town of Dejima in downtown Nagasaki, we were very happy to find Jun Murata and his tiny mobile shop, Break Time Coffee. Sudachi are golf ball-sized citrus, prized in Japan for their intense flavour and aroma. You might find a paper-thin slice atop a grilled fish or a curl of rind in a steamed custard. If you’re lucky, it might be the even-more-fragrant (and expensive) yuzu. In an brazen attempt to bring down the culture by turning its basic culinary tenets on their head, we decided to make sudachi marmalade. No-one in the history of Japan has ever done this. Why would they? It is insane, and not delicious. …but we can tell you that it is insanely delicious. Dark, bitter and densely packed with everything good about marmalade, it has the aroma of limes that have been meditating for years on the true nature of citrus. For our next trick, we decided to make a batch with Key Limes. Florida was unfazed by this. In 2014, Jim Beam’s Japanese marketing division released this TV commercial, thereby fulfilling Jacob’s original vision. Sleep well, Jacob. Your work is done. Big, crusty loaves of fresh-baked brioche. Japanese bakers show no mercy. The local surf club on Nakatoorijima is really the hobby of one very friendly fellow, Kyo Nagai. He could not have been more helpful in getting Keith set up with a board and even came along for an hour of surfing on small but glassy beach break. He also posted two nice pics of Keith’s surfing adventure on his surf blog. The first action photo is Keith, and the second a local hotshot named Mori Junior. Japanese English (sometimes called Japlish) is not new anymore, but it can still be surprising. Sometimes it is merely delightfully naive, but often it over-reaches, yearning for grandiosity and ending up bewilderingly senseless. And it is simply maddening when basic mistakes slip past a “proofreader” and end up on a billboard or all over a line of products. Why there is a never-ending stream of it (and where it comes from) is a constant source of fascination for native English speakers in Japan. Here are two recent examples that caught us by surprise and made us laugh.